I’m all for hands-on engineering activities that kids can do at home, and my latest “cool tech” find is littleBits. 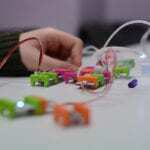 littleBits are simple electronic modules that, when combined, can create complex systems. 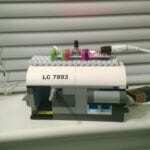 I learned about littleBits from a recent Popular Science article, and when I did my research, I knew they sounded perfect for my LEGO-loving, 13-year-old daughter. I also liked that they were easy-to-use, safe, and reusable. littleBits modules are tiny circuit-boards with simple unique functions such as light, sound, sensors and motors. The modules are like “electronic widgets” that easily snap together with magnets. Kids use the modules as building blocks to design their own electronic creations. When we got littleBits, we invited my daughter’s friend over so they could explore together. I hung around in the kitchen so I could see how they would use it. They opened the kit and started to plug modules together to see what would happen. Sometimes it did what they expected and other times it didn’t. They got stumped a few times but worked through it. They referenced the manual here and there but what I liked was that they experimented and tried things out without rigidly following the instructions. If your child loves to build with LEGOⓇ, then they will probably like littleBits because it allows them to take their design skills to the next level by using electronics. littleBits obviously knows their audience because they sell a LEGO brick accessory that works with their products (smart!). 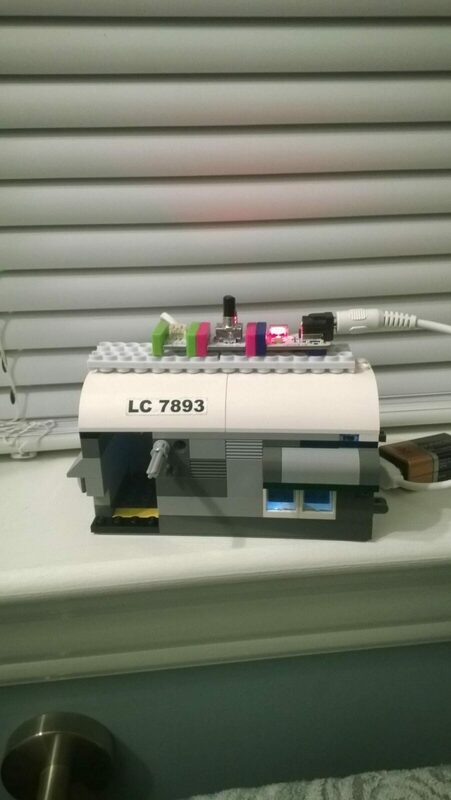 Here’s a picture of how my daughter used the littleBit’s slide dimmer and LED to light up her LEGO vehicle (the circuit is on top and the LED is inside the vehicle). 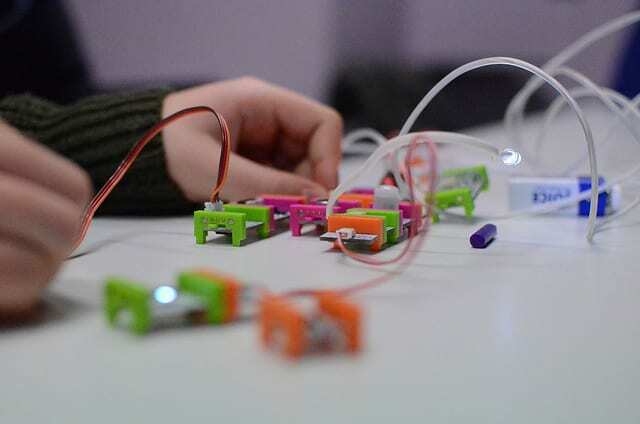 In addition to unlimited experimenting, littleBits is perfect for someone who likes projects. 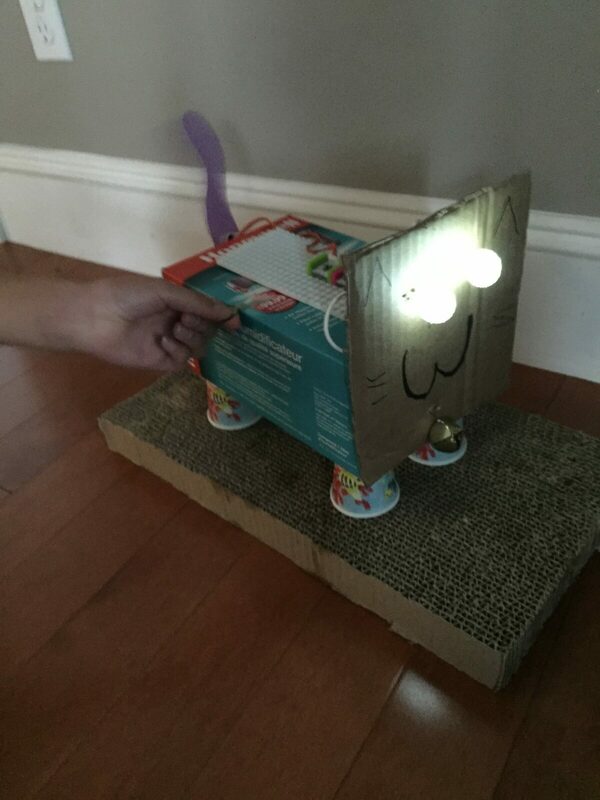 My daughter and her friend had a great time working on their first project called the Playful Pet. First, they took a basic box and turned it into a cat. Next, they connected their Bits together (including power, pressure sensor, wire, vibration motor, branch, LED, pulse and servo) to create a circuit. 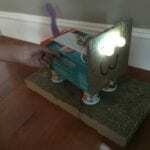 The final step was to hook up the circuit to the cat’s body and test it out. When they “petted” the cat (i.e. touched the sensor), the cat’s eyes lit up, the bell rang, and the tail wagged. The girls loved littleBits right away. They said that some things were easy to do and some were harder, but not in a frustrating way. By the end of their project, they were hooked and were planning future activities. 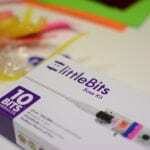 If you want your child to learn about electronics, littleBits provides a great foundation. 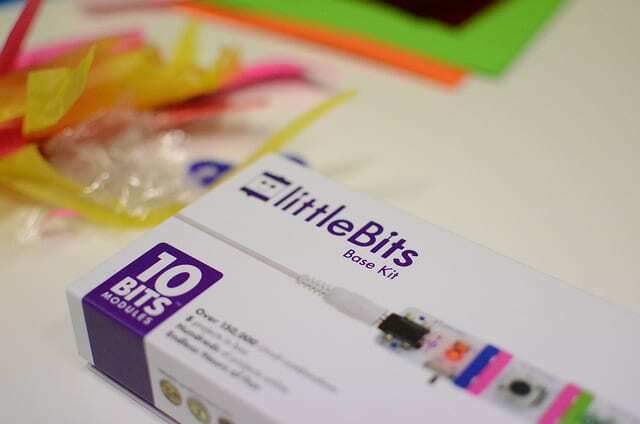 Their products are geared for ages 8+, but I think littleBits are perfect for teens who have outgrown most toys but still want to explore with hands-on activities. Learn about electronics: Your child will learn the basics of electronics by experimenting with each individual module. From there, they can be combined into neat and fun creations. Well-designed kits with many options: I purchased the Premium Kit as well as the Brick Adapter accessory so that we could snap littleBits modules to LEGO bricks. 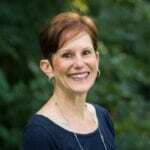 Experimenting and prototyping is encouraged: The instructions are solid but I like the fact that design possibilities are open-ended, encouraging your child to learn by trial and error. Infinite experiments: This is not a one-use product. The ever-growing library of modules makes littleBits something your child can come back to time and time again. Fun to do alone or with a friend. — Visit the activities hub for design and project ideas. — Visit their Store to view and purchase kits, modules and accessories. I think littleBits is a great gift idea for teens who have always loved building with LEGOs and want to explore electronics on their own or with friends. They could also be a good activity for parents do to with young children.